HI ALL! since a week I have managed to install HASSIO on a QNAP (turbo) nas, Since I have found multiple guides on how to install home assistant in docker on a qnap nas but NO HASSIO installs yet I decided to give it a try, and it worked. Currently I am still “working” on the guide, I have wrote down the steps with some single words but I am planning to re-do the installation and complete it with screenshots etc, If there are questions or additions please let me know. I use a Qnap Nas model 453U, 8gb ram, though it should work wit most Qnap turbo nas’ses which support “virtualization station”. Based on this decision I have written this guideline. Fill out the following popup according to your needs and preferences. I run a 4 core, 8gb ram system with only HDD’s, since I decided to provide the VM first with 2 cores and 2gb of ram, I will check the load on the system every now and then and when i notice that more power will be necessary I will provide it with more resources. Since I am migrating from a PI and (currently) not running very heavy addons i expect this to be sufficient. This can be adapted later. hdd Location: create image and selected a location which suited me. If you are using multiple LAN-ports on your nas you can select the desired port here. You then see a small screen in the virtualization station, if you click on this a VNC connection starts and you can “setup” the Host-OS via your browser. Once the installation is done you should be able to access the newly setup VM via SSH. To do this I use Putty (on windows, with mac or linux I think this functionality is built-in). to dot this run these commands via SSH in your VM: Source, thank you Frenck! refresh regularly and after a few minutes HASSIO starts. congratulations!, you have just installed HASSIO on your QNAP nas! If you found this helpfull and / or have some comments or questiosn please feel free to ask or comment! I love you ! you are my hero ! Thank you you solved everything I needed to have ! THank you ! Thanks. This is great. Able to load it on my TS-251. Using Aircast to Airplay to my Google Homes. Brilliant!!! I have been going back and forth between hass.io on the RPI and docker containers on the QNAP. Finally, this is the best of both worlds Thanks! 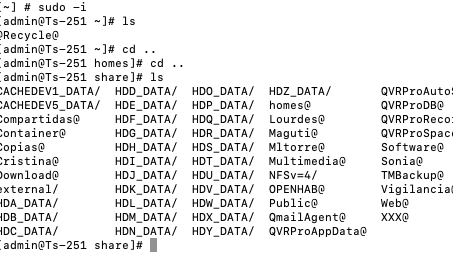 hello, I have installed ubuntu, but I am a novice, from where I install hassio, from the root of the qnap by SSH ?, or do I have to get into some volume or folder? Thank you. Inside Ubuntu, just install the prerequisites and run the script. You said you installed Ubuntu. 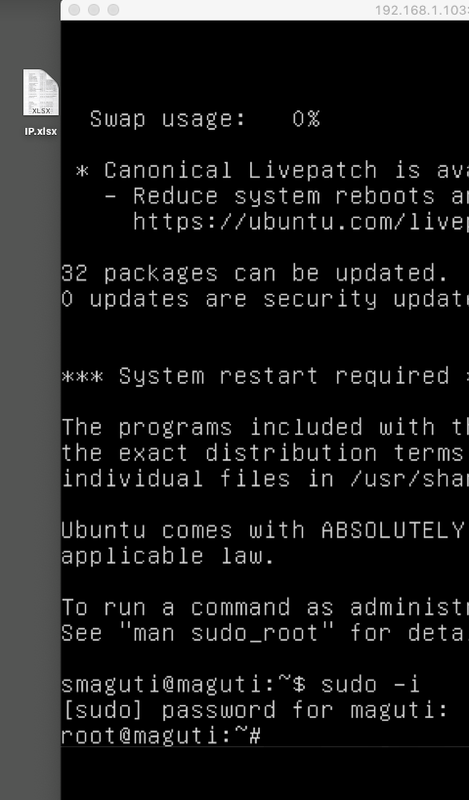 Did you install Ubuntu in a VM? If so, Ubuntu gets a new IP address on your network. You need to enter your UBUNTU installation and run the commands from there. This has nothing to do with QNAP OS. Or SSH into the Ubuntu machine. but this “|” how does it get ?, what letter is it? I’ve already found it on my keyboard is the admiration, I’m Spanish. thanks for everything and it is installing. We’ll see how. Hello, in the end I got it installed, now I get the follow you doubt, how do you access the folder where the configuration?